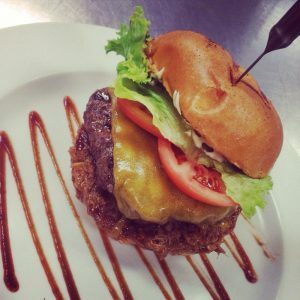 About Red Brick Bar & Grill! 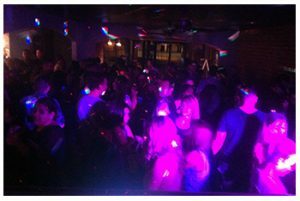 RED BRICK Bar & Grill in downtown Turlock is one of the best party spots in the 209 area code. With friendly staff and security, great DJ’s and a fun, safe scene Red Brick is the spot to chill, dance and get your drink on during the weekend. Our hours are Fridays and Saturdays 5:00pm-9:00pm for dinner. On Friday and Saturdays from 10pm to 2am we open the dance floor, serve tacos, hookah outside, and have drink specials all night long. Thursdays we are open for private events. Inside Red Brick our fully stocked bar is ready to make any drink you’d like or serve you one of our many beer selections, including multiple local craft beers! We have a amazing outside bar serving cocktails and types of beer you can’t get inside! While you are outside you can also have fresh, hot tacos made to order at our taco station located next to the bar. We can also accommodate VIP Bottle Service reservations. Every weekend night we have DJ’s spinning the latest house and top 40 tracks as well as all the classic hits. The dance floor fills up fast so be sure to get to Red Brick early in order to avoid waiting in line to get in. You can keep up with what entertainment is going on at Red Brick by viewing our EVENTS page. In order to maintain a safe, friendly and fun environment we enforce a strict dress code. We appreciate all of our regulars and visitors that want to have some good fun in Turlock! We also regularly post pictures, news and more on our Facebook and Instagram pages. If you have a Facebook and Instagram account, be sure to LIKE our page to stay in touch with all the excitement and fun we’re having.